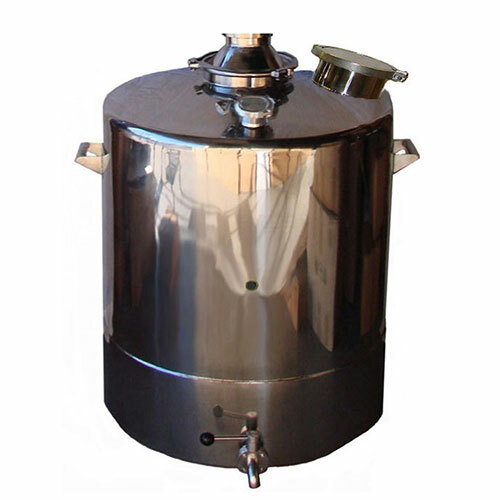 53 Gallon Still Boiler with 8 Inch Tri-Clamp fitting for distilling alcohol is made from heavy duty 304 stainless and has sanitary welds with tri-clamp fittings. Conical bottom allows to drain from the center. 1. 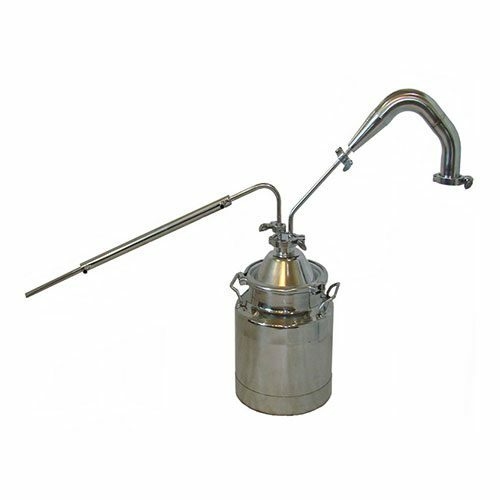 8″ Tri-Clamp fitting at top of still boiler. 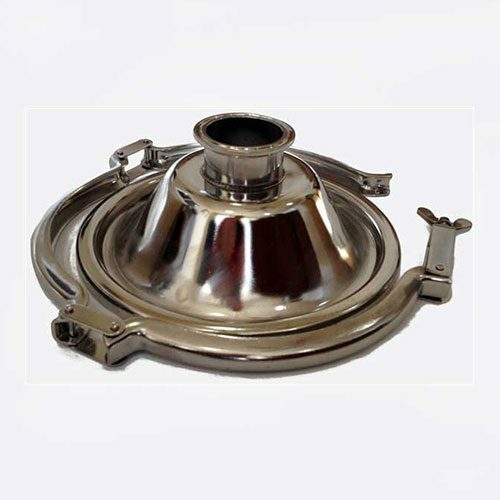 ( will need a reducer to go from the 8″ to 4″ or 6″ depending on the diameter of the column. Also needed is one 8″ clamp and 8″ gasket.) 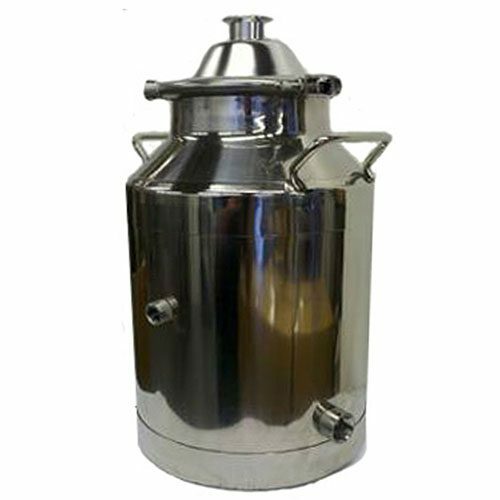 see reducers on our still parts page. 4. 2-2″ ferrule tri-clamp fittings for heating elements. 5. 1/2″ female NPT for thermometer or temperature probe.